Rated #1 “Things to do” in Cottonwood. We are small batch boutique. We concentrate on quality versus quantity. 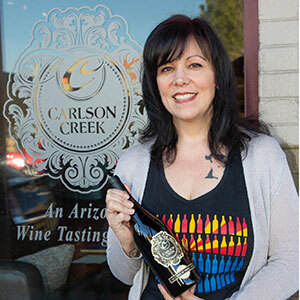 Carlson Creek Vineyard’s third tasting room in Old Town Cottonwood features a comfortable, casual wine tasting experience for guests to enjoy at a custom barrel stave bar alongside couch seating and high-top tables. 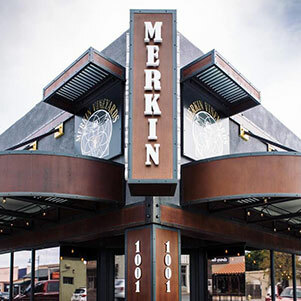 13+ varietals of wine are offered by this award-winning family vineyard (based in the Wilcox AVA) and the completely remodeled space is available for hosting private events and buyouts. Sunday – Thursday from 11 a.m. – 7 p.m.
Friday – Saturday from 12 p.m. – 9 p.m. 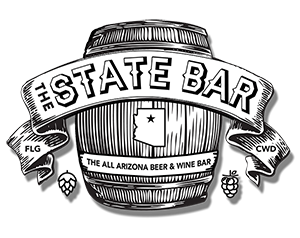 The State Bar is an all-Arizona beer and wine bar. 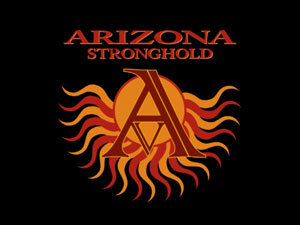 With the success of original location in Flagstaff, AZ, we've now come to Arizona's wine country. 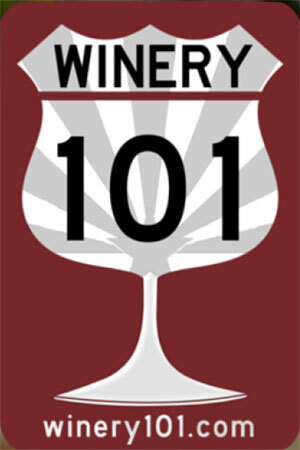 The VVWC is a wine producers’ trade organization that promotes, enhances and connects every part of the wine community in the Verde Valley.